With inexpensive DNA synthesis technologies, we can now construct biological systems by quickly piecing together DNA sequences. Synthetic biology is the promising discipline that focuses on the construction of these new biological systems. Synthetic biology is an engineering discipline, and as such, it can benefit from mathematical modeling. This chapter focuses on mathematical models of biological systems. These models take the form of chemical reaction networks. The importance of stochasticity is discussed and methods to simulate stochastic reaction networks are reviewed. A closure scheme solution is also presented for the master equation of chemical reaction networks. The master equation is a complete model of randomly evolving molecular populations. Because of its ambitious character, the master equation remained unsolved for all but the simplest of molecular interaction networks for over 70 years. With the first complete solution of chemical master equations, a wide range of experimental observations of biomolecular interactions may be mathematically conceptualized. 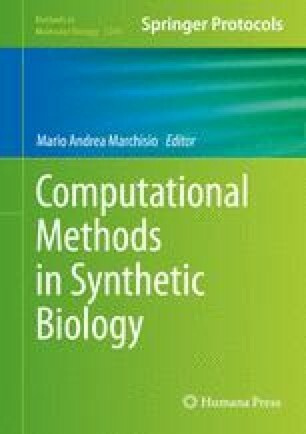 We anticipate that models based on the closure scheme described herein may assist in rationally designing synthetic biological systems. This work was supported by a grant from the National Institutes of Health (American Recovery and Reinvestment Act grant GM086865) and a grant from the National Science Foundation (CBET-0644792) with computational support from the Minnesota Supercomputing Institute (MSI). Support from the University of Minnesota Digital Technology Center and the University of Minnesota Biotechnology Institute is also acknowledged.